Mulayam Singh is realising rather late in the day that the Muslims are not a monolithic entity, voting this way or that as a solid, indivisible vote bank. The community is as divided within itself as any other along caste and economic class lines and each sub-group votes according to its own preference. Realising that his party’s closeness to the Sunnis is alienating other sections of Muslims, particularly the Shias, and proving counterproductive for his party electorally, he has started shifting attention to the latter. Meanwhile, the continuing verbal duel between Uttar Pradesh Urban Development and Waqf Minister Mohammad Azam Khan, a Sunni, and the Shia cleric Kalbe Jawwad, has brought into the open the deep-seated fissures between the two sects. Perhaps for the first time, the differences, said to emanate from religious reasons, have acquired solid political contours. Although Mulayam has of late been trying to mend his relationship with Kalbe Jawwad, the dispute over the Waqf board, its properties and election, has become so acrimonious that solving it amicably would mean further annoying and alienating Azam Khan. 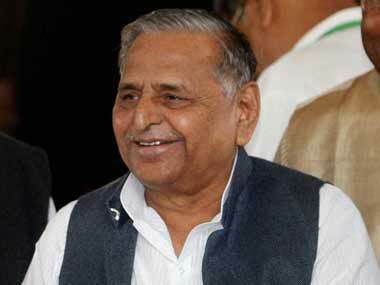 It remains to be seen what Mulayam chooses. After Iran, India has the highest number of Shias. 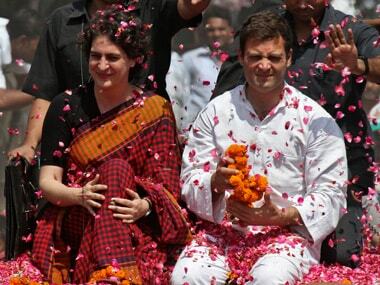 In UP, they are largely concentrated in Lucknow and Rampur. In Lucknow, Muslims account for 29 percent of the population; of these more than 20 percent are Shias. They are largely confined to the old city area, represented by Lucknow North Assembly constituency, which has always been won by the BJP. Incidentally, the electoral preferences of the Shias and Sunnis have never been the same, at least in Uttar Pradesh. Shia community elders concede that because of historical reasons, Shias do not follow what Sunnis seem to be doing. "We are more comfortable with Hindus in that case," a retired principal said. "The victory of the BJP in Lucknow and even the victory of Modi in Varanasi was because of the Shia support to the BJP," he said. Disputes such as separate Personal law Board and Waqf Board, combined with rising Sunni-Shia tensions across the Muslim world, have polarised the two sects and this reflects in their respective voting patterns. Incidentally, the events in Iraq have also unnerved the Shias and sharpened their ire against the Sunnis. Traditional religious disputes between the two sects have mainly pertained to route of processions during Moharram or possession of property. With several Shia shrines and structures dotting the old city, Lucknow has had a history of Shia-Sunni riots. Since the Shias have always nursed a fear of being swamped by the majority Sunni and their sway over the administration, they have allied with the BJP and Hindus to at least have some sizable numbers on their sides. "It has been like this since the sixties, when clashes during Moharram had become very frequent, and it is since then the Jan Sangh and later, the BJP, always won from the old Lucknow constituency,” said S Jaffri, a businessman in old Lucknow. The fear of the Shias to be swamped by Sunnis made them move closer to Hindus. Even during the Lok Sabha election campaign, as soon as the Imam of Delhi’s Jama Masjid endorsed Congress after meeting Sonia Gandhi, in Lucknow Kalbe Jawwad had a meeting Rajnath Singh who was the BJP candidate from Lucknow. He later compared him to former BJP Prime Minister Atal Behari Vajpayee. According to Dr Ram Kapoor, a BJP leader whose late father Dr PD Kapoor, was a noted Jan Sangh leader in old Lucknow and a former minister, the Shias have never been aggressive in their social behaviour. "Their interaction with Hindus has been easy and therefore Hindus especially in old Lucknow areas like Chowk and Husainabad feel very comfortable with them." Since Hindus here were bullion dealers, jewellers and wholesale traders and were traditional Jan Sangh and later BJP supporters, the Shias, too came along, he said. 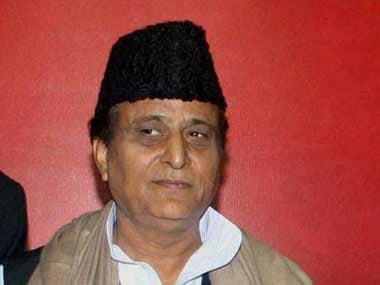 The anti-Shia attitude of Azam Khan, he feels, has further alienated the Shias from the Samajwadi Party and their comfort level with the BJP is much stronger now. "Rather than tactical voting, Muslims prefer to vote as per caste or local preferences, same as Hindus. Differences between castes such as Qureshi-Ansari etc play a major role in making up the minds of the Muslim voters," added Atahar Hussain, director of Centre for Objective Research and Development. Another interesting fact is that given a choice between Muslim and non-Muslim candidates, it is not necessary Muslims would vote for the candidate from their community. 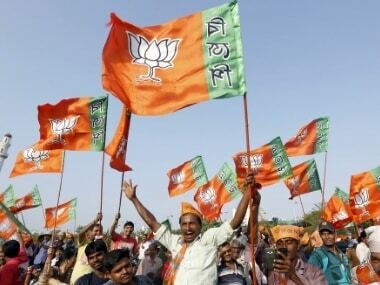 The term ‘Muslim vote,’ after all, may be as significant as ‘Hindu vote’ when it comes to castes, since there has never been a clean sweep by a Muslim candidate in constituencies with more than 20% of Muslim voters, including Lucknow. In any case, the electoral discretion of the Muslim community, long believed to rest on the single-point tactical objective of defeating the BJP appears to be under strain for various reasons.